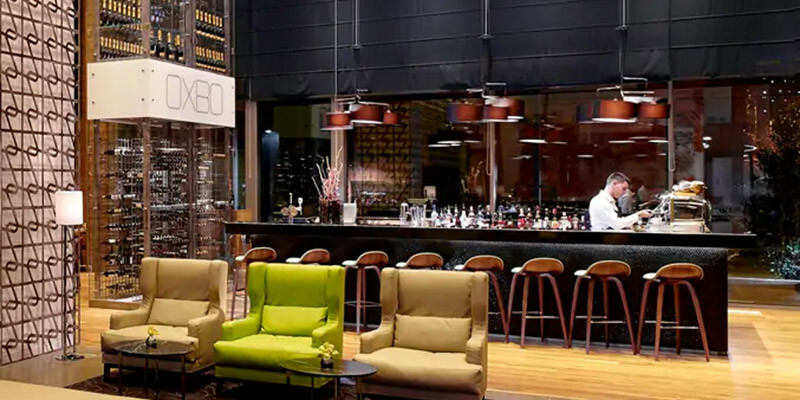 DoubleTree by Hilton Zagreb is located in Zagreb’s new business district. Only 2.5 km or a couple of trams stops from the city centre. TIP: The hotel is located within the Green Gold complex, so it is offering you great shopping and dining choices. One of rare Zagreb hotels with an Indoor Swimming Pool. 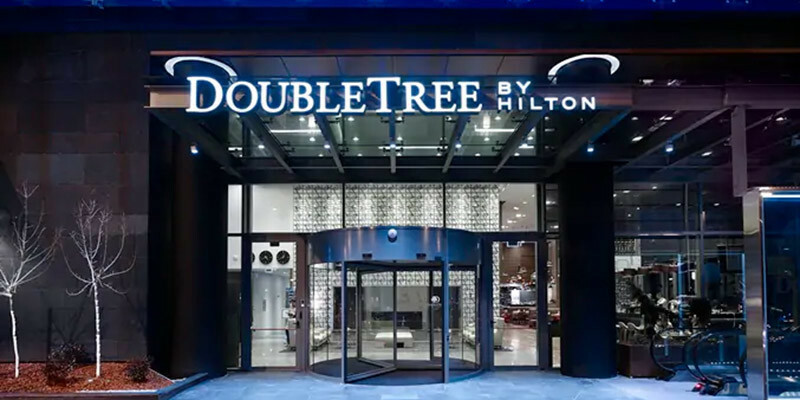 DoubleTree by Hilton Zagreb is mainly a business hotel. It offers a complete and great value service that includes contemporary accommodation and facilities. Such as a restaurant, fitness and spa, business centre and multi-purpose meeting rooms. 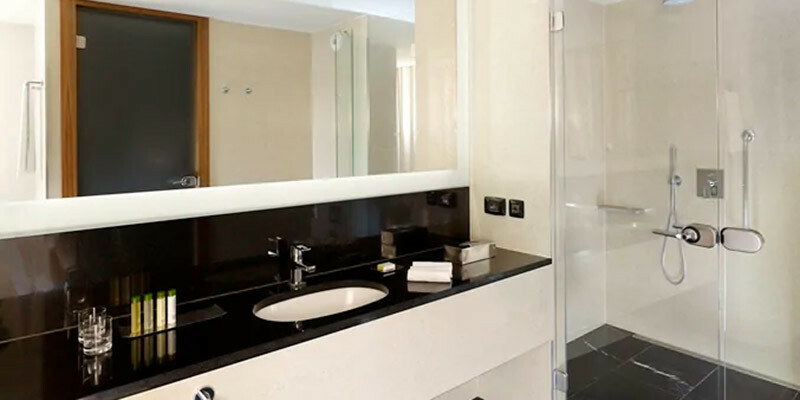 Its 152 spacious guest rooms and suites offer floor-to-ceiling windows, complimentary WiFi, LCD satellite TV and walk-in rain showers with free toiletries in every bathroom. 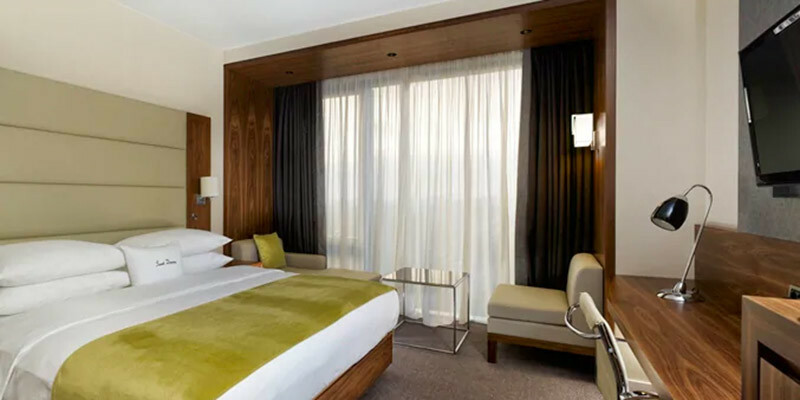 DoubleTree by Hilton Zagreb is recommended for Business Travellers. Despite it features amazing value for every passenger, I mainly recommend it for business travellers. It is located in Zagreb business district and made to accommodate all the business traveller needs. Oxbo Grill Restaurant&Bar offers grilled meat and fish dishes at an open kitchen where you can interact with the Chef. Rich Buffet Breakfast is served at the restaurant from 6:30 AM till 10 AM, so you have plenty of time to rest. During Weekends breakfast is served from 7 AM till 11 AM. DoubleTree by Hilton Zagreb was made to cater to your every need. Its Wellness and Fitness area is located on the 10th floor of the hotel and is open every day from 6 am to 10 pm. 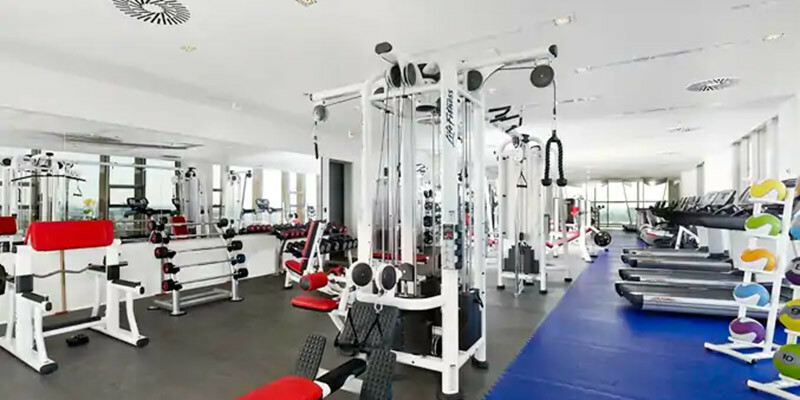 The complimentary fitness centre comes with latest Lifestyle workout equipment. 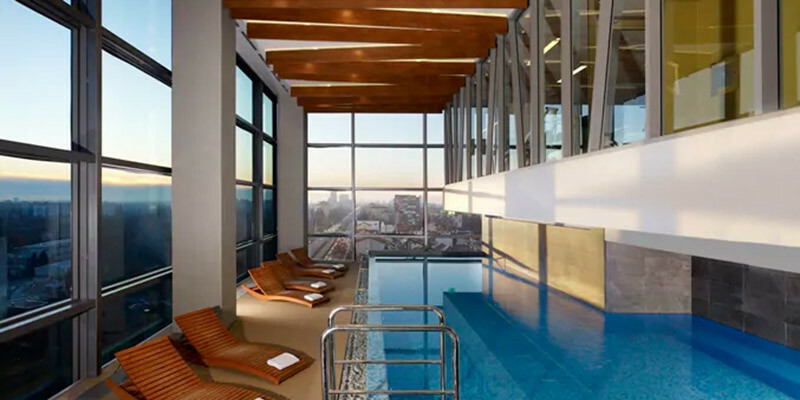 It also features a 12m indoor pool, a Whirlpool, Turkish bath and a Finnish sauna with panoramic views. What is close by to DoubleTree by Hilton Zagreb? The hotel is located within the Green Gold complex so it is close to a vibrant shopping area and dining experiences. Although located in Zagreb’s new business district, you can easily reach Zagreb City Centre by public transport. Within 10 minutes tram ride you can be on Zagreb Main Square with easy access to most Zagreb attractions. There is public parking available around the hotel, but we recommend the Hotels Parking Garage. Parking is 16 EUR per day.